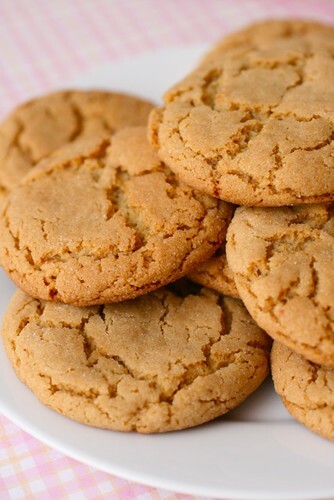 Who can resist a good peanut butter cookie? I can’t, that’s for sure. They make me feel like a kid again. 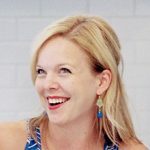 (This is increasingly important, because I am celebrating another birthday this weekend – eek!) This particular recipe is fantastic. In fact, it will be my new standard for peanut butter cookies. The peanut butter flavor is great, but the really wonderful thing about these is the texture. They are thick, soft, and chewy – just perfect! I was disappointed when I saw shortening on the ingredient list for these cookies, because I typically try to avoid using shortening in my cooking and baking. Normally I would just substitute an equal amount of butter for the shortening and never think a thing about it. However, thanks to an article I read in Cook’s Illustrated, I learned that shortening and butter have some different properties that affect the way they behave in baked goods. I really wanted to keep the thick, chewy texture I was expecting from these cookies, so instead of subbing butter for all of the shortening, I did so only for half. It worked like a charm and I was thrilled with the way these turned out. The honey probably also plays a role in this magnificent texture, but I don’t know enough of that science to explain it. 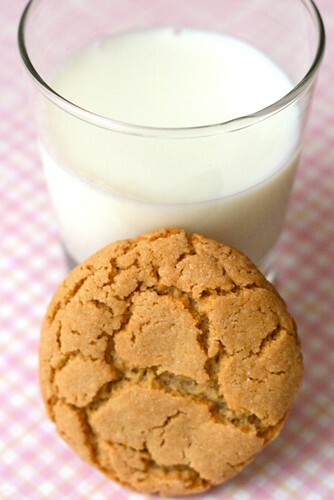 A cookie (or two) with a cold glass of milk was a great way to unwind after a long day. Obviously, I lead a wild and crazy life. In a medium mixing bowl, combine the flour, sugar, baking soda, baking powder and salt; whisk together and set aside. In the bowl of a stand mixer fitted with the paddle attachment, cream together the shortening, butter, peanut butter and honey. Mix in the eggs one at a time, beating well after each addition. With the mixer on low speed, add the dry ingredients to the peanut butter mixture and beat just until incorporated. Preheat the oven to 350˚ F. Roll the dough into 1½-inch balls, and roll each dough ball in sugar. Place the dough balls on an ungreased baking sheet, a couple inches apart. Bake for 10-12 minutes, or until slightly puffed and golden. Remove from the oven and let cool on the baking sheet for 5-10 minutes before transferring to a wire cooling rack to cool completely. Repeat with the remaining dough. Store in an airtight container.